I’d like to say that I’m a student of the human condition. I watch as all wallflowers do; gaging conversation, mood, and the like. 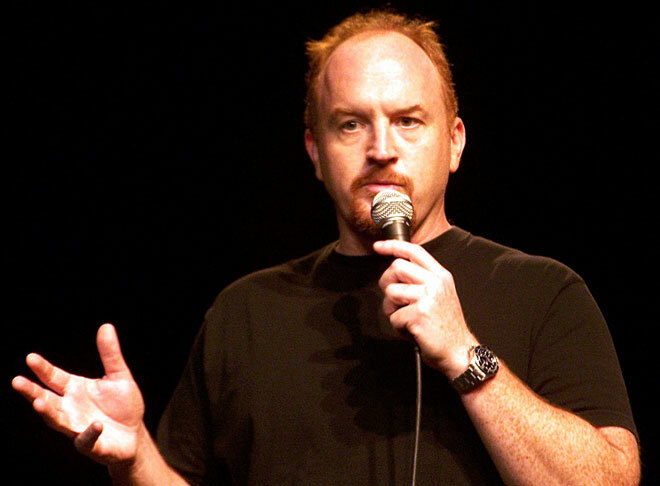 I’ve been watching a lot of Louie C.K. The guy is a genius. Well, he seems miserable. But it’s funny, because it’s true. At least the things he says about life. I can look at Louie and understand life a little better. He’s realistic and captures humanity at its best and especially at its worst. Comedians (read: good comedians) do best when they nail the human condition. That’s when they’re most funny. They point out the mundane and turn it into something brilliant. They have a sense of humor and timing. They orchestrate words to fit at just the right time with just the right amount of punch. As a student of this condition, I find myself wondering the same about cooks. I suppose industry folk in general. That if you’re good at what you do, you understand the human condition at its best and worst. 80% of the time customers are awesome. They are nice people with nice things to say. But then there’s the 20% — the people who make you say “piece of sh*t” under your breath. We’re all entitled to rant on this 20%, but that’s not what I wanted this post to be about. What I am trying to say, is that it’s important to know how to handle these things. To be quick, intelligent, and skilled at rooting around the flow of serving a customer. Like a comedian, a cook tries to connect with the audience. We send things out when they’re supposed to (usually), and tasting the way we want them to taste. We are both (comedians and cooks) in the pleasure business. We are not here to make you feel bad about yourself. We indulge you by placing large amounts of butter and fat in your food (hurray!) and ultimately, facilitating a delicious experience. All the chefs I’ve worked under are usually pretty sane. They’re also really connected (to both ingredients and people). They hardly ever forget things. They hold on to words and keep them festering in their brains. It’s part of what makes them good at what they do, but also what weights down their conscience. In the way comedians are craftsmen (and craftswomen) at telling stories, cooks use their past to tell another kind of story. The cook and the comedian are raw and transparent. You can see right through em’. By standing on stage in front of a crowd, or by asking the patron, “How was everything?” The response of the public always hits you the hardest. That’s the truth. The quick affirmation is addicting. So while I’m not technically using my college degree in psychology for the betterment of humanity, I am learning what it means to understand people. Whether it’s the people we serve or work with, we are always learning from what’s around us. We, in part, take these things and give them away. The comedian tells a joke, we plate a dish. And deep down, we hope that both fill you up.